Tis the season for merriment, delight, and cooking wood. 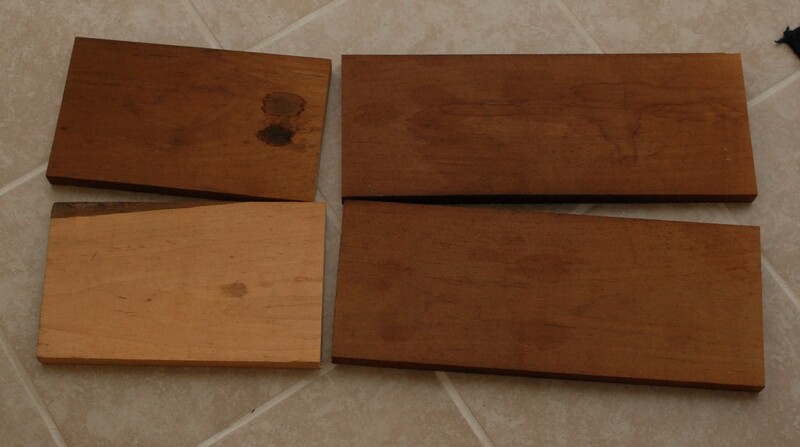 No, I haven’t been hitting the egg nog too hard, but I did read a great article in popular woodworking recently. 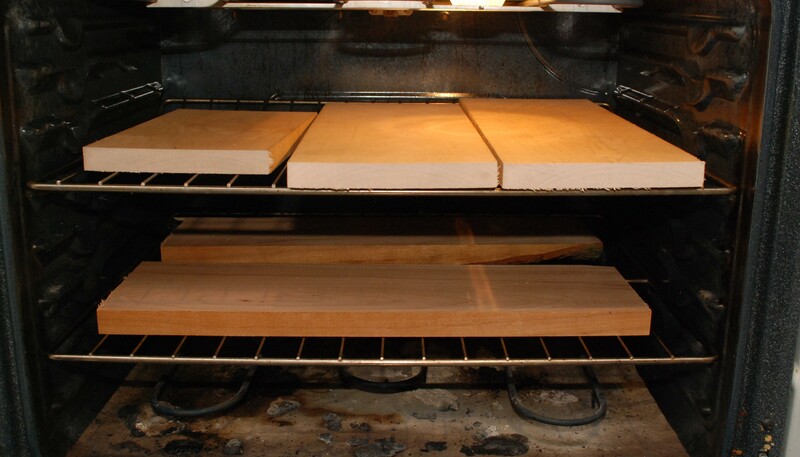 It turns out you can roast some hardwoods in your oven and get a lot of great effects out of them. 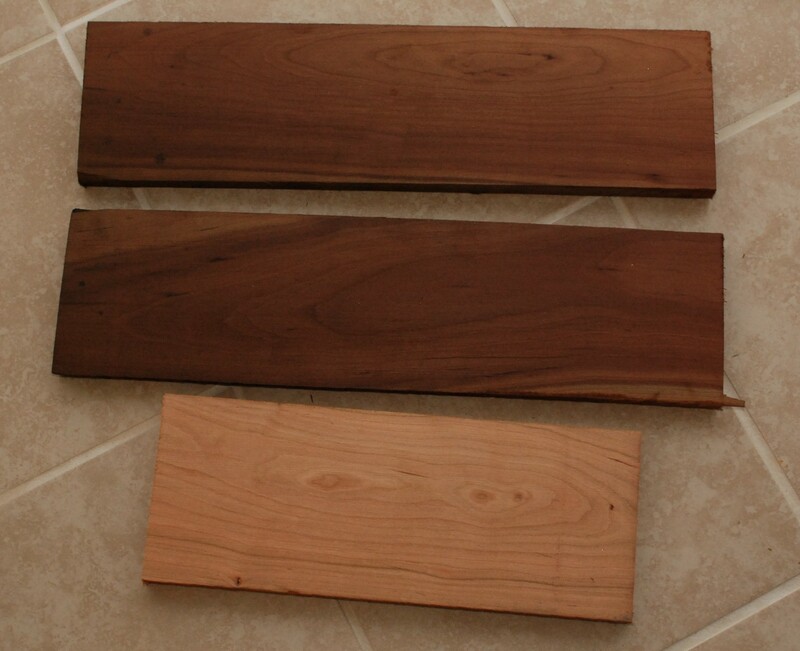 I started with cherry (left) and maple (right). It turns out they couldn’t all fit in my oven. I might have to get a rib rack or something to stand them all up next time. In they went for 4 hours at 360F. There was an odd smell, and a mild smoke that was given off in the process. Luckily the weather was good enough to have the doors open. I wouldn’t attempt this if you don’t have some means of ventilation. The results were quite striking. Everything got darker, but it didn’t do so evenly. Some boards have a really neat gradient across them. The insides are a bit lighter than the surface, but not a lot. The cherry is my favorite! One issue with using roasting wood is warpage. I left them to re-stabilize in the shop for a few weeks before working with them. 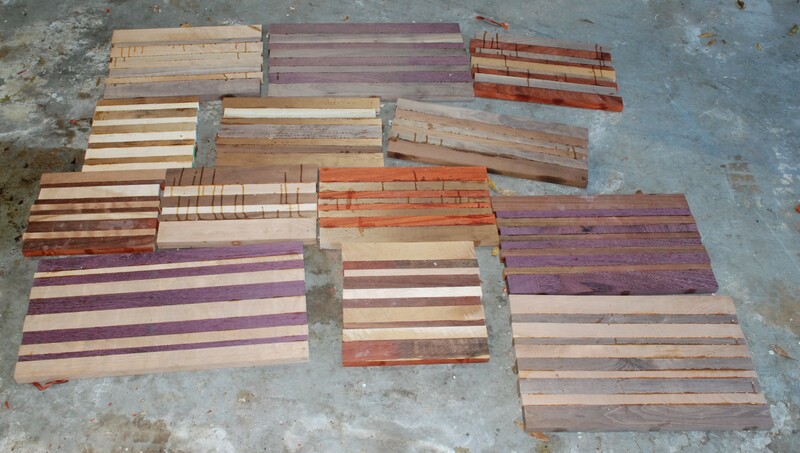 Regardless, they were warped and twisted, and had a lot of internal stresses on the table saw. Be really careful when cutting and make sure the splitter is properly in place. I should be posting a project soon that used up some of these beauties.